A successful executive was building a new home in Central Virginia. 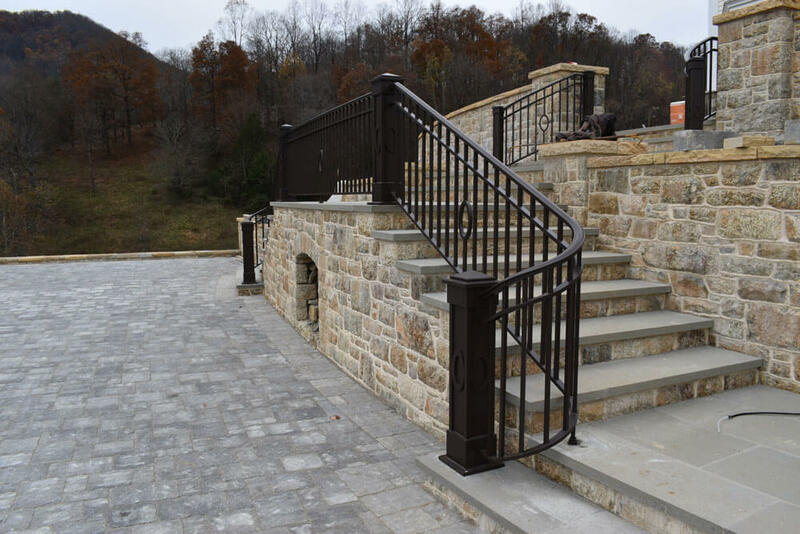 They wanted custom railing designs that accentuated the beautiful property, and all the stonework original to the property. 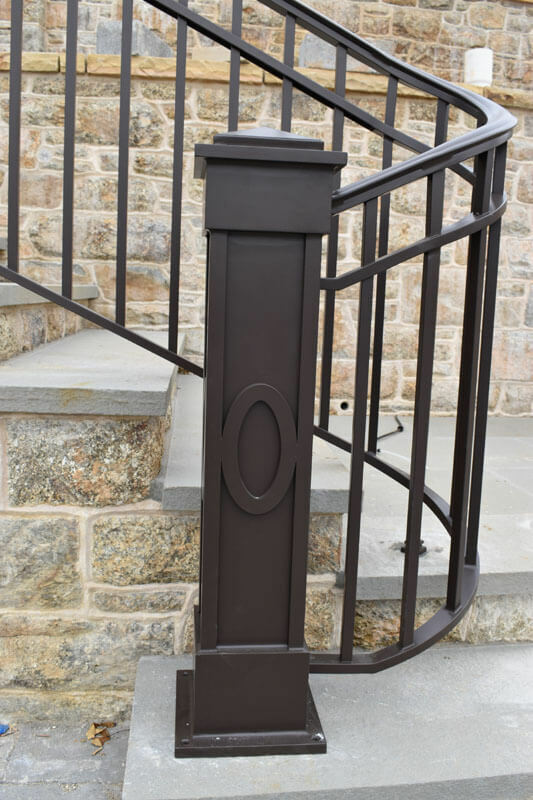 After reviewing wrought Iron railing designs with the architect and client, we developed a fairly straight forward aluminum railing design, added some ovals to tie in with some architectural design elements. We also designed some custom posts that shared similar design elements as the interior railing. 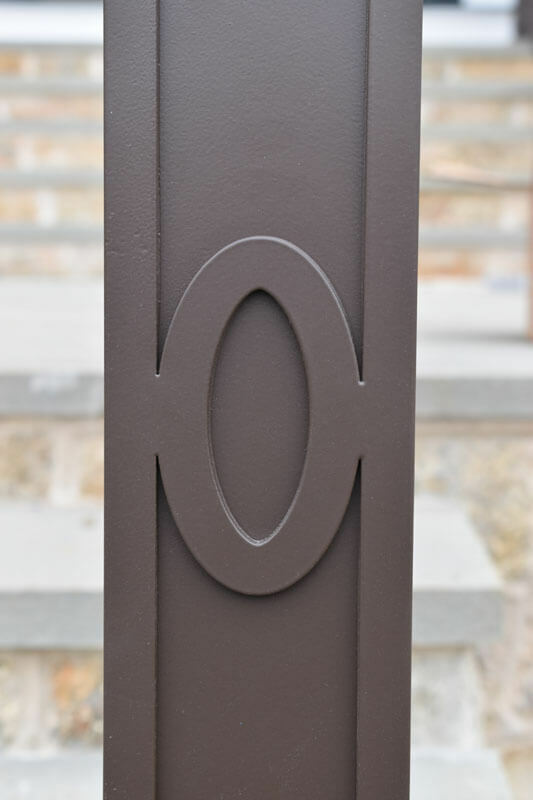 And the entire project was powder-coated Roman bronze which provided visually pleasing color attributes to the stonework. There were some challenging radius railing areas on stairs, level walking areas and terraces that provided some hurdles for the craftsman. And with the design details of the posts, this project was not just a walk in the park! But with very precise measuring, everything designed in CAD, the project was built one step at a time. 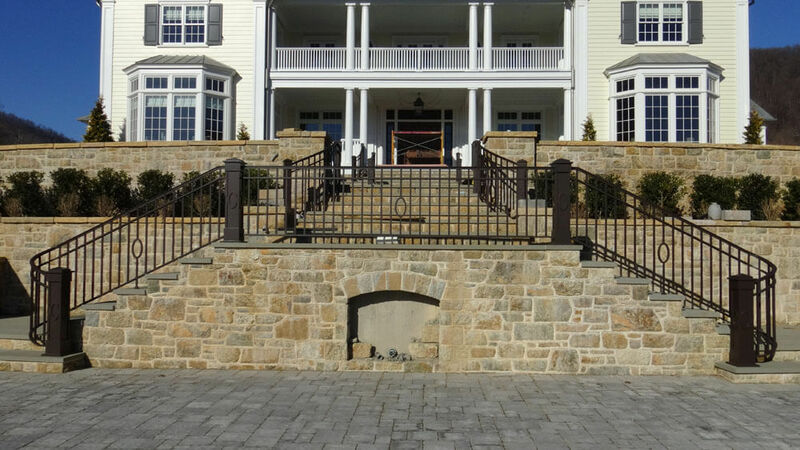 And when it was all completed, powder-coated and installed, this stair railing and terrace railing project in central Virginia had an awesome wow factor for this getaway home in the Virginia foothills.